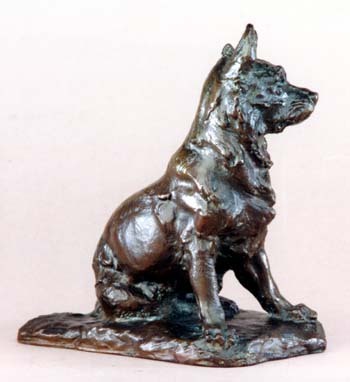 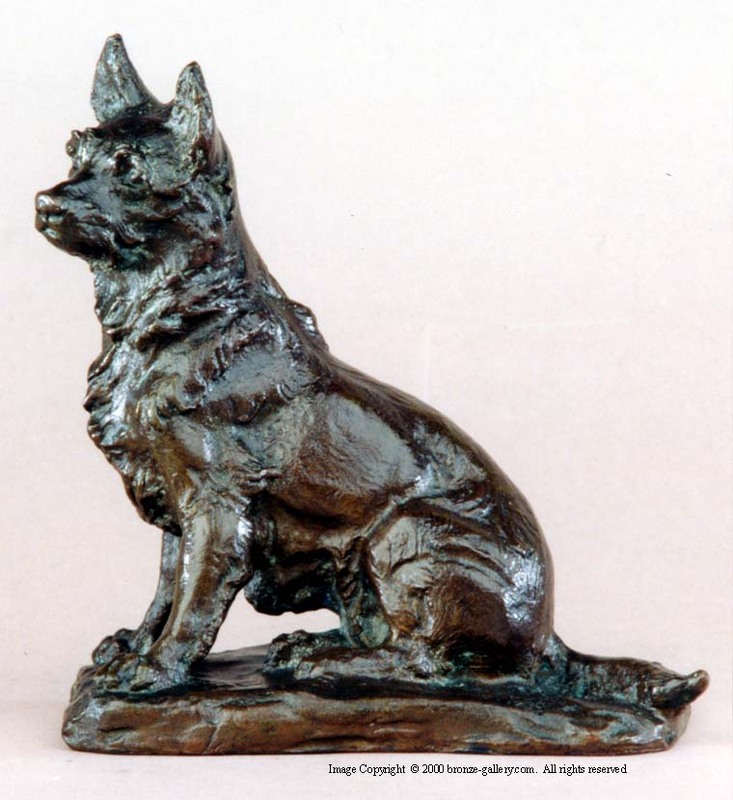 This small sculpture of a seated terrier is signed Laura Gardin Fraser and dated 1930. She was very fond of doing models of dogs, a subject that she thoroughly enjoyed. This little Terrier was cast by the Kunst Foundry and is finished in a beautiful red brown patina.